Vata Cold and Flu : Homegrown Herb & Tea, Portland, Maine. Only the freshest ingredients for an amazing cup of tea. 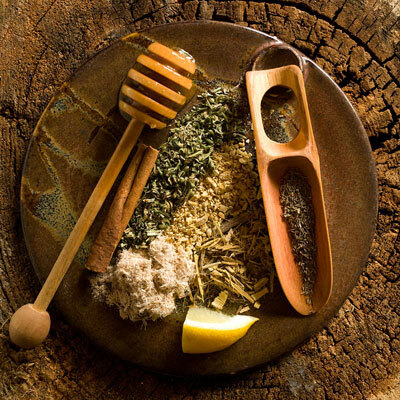 This common cold remedy of catnip, anise, angelica root, thyme, sarsaparilla, ginger, cinnamon, white willow, skullcap, licorice root and slippery elm is ideal for aiding the recovery of a Vata type suffering from a cold or flu with its warming, tonic, hydrating and expectorant action. Brewing Tips: Pour boiling water over herbs and steep covered at least 5 minutes. Sweeten with honey to add more demulcent and expectorant action.